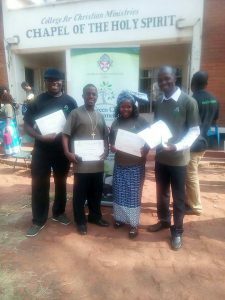 Four brothers and sisters traveled to Malawi to attend a training on environmental ministry being administered by the Green Anglicans / Green Church movement. The first plan is to plant trees in each sacramental act, chrism baptism and marriage, every baptized member christened or getting married on that date must plant a tree and commit to taking care of it. Quatro irmãos e irmãs viajaram para o Malawi para participar de um treinamento sobre o ministério ambiental sendo administrado pelo movimento da Green Anglicans/Green Church movement.